To understand the possibilities that your video card, you need to know its model. 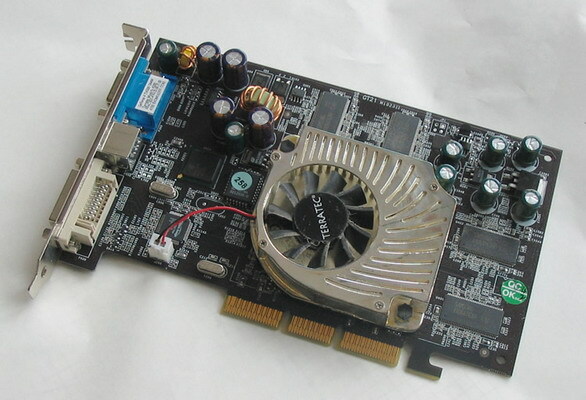 For example, if you purchased a new computer and want to play new video games with all the latest technologies in the world of graphics, you first need to determine the model of the video card and see its characteristics. Sometimes, computer stores write only the number of graphics card memory. And this is not the main criterion. Click on an empty area of the desktop, right-click and from the context menu, select "screen Resolution". In the ensuing window, click the left mouse button in the "Additional options". A window will appear in which select the tab "Adapter". The top window will be the string "adapter Type", and below is the model information of the adapter. This way you will get some basic information about the video card model and amount of memory. This method in addition to the name of the model will show the main features of the graphics card. Click "start" and click on the component "All programs". From the list of programs, select Accessories, then Command prompt. In this line, enter the command dxdiag. In the ensuing window, select the display tab. A window opens in which will be information about the video card model. Near label "Name" you will see the name of the graphics adapter, and next to the inscription "Manufacturer" - the name of the manufacturer. Also in this window you can see the number of graphics card memory. The right window displays information about the version of the driver for your graphics adapter, and creation date. If you need to know full information about the video card, download the program Everest. Install this application to your computer. After starting the program you will see that the application window is divided into two halves. In the left window locate the feature called "Display". Click on the arrow that is next to this component. Now from the appeared list, select "GPU". In the right window of the program displays all the information about your graphics card. The information window will be divided into several sections. You can find out what version of DirectX supported by your video card, processor speed and other operating parameters. In addition, the bottom of the window, you can view information about the drivers that need updating them. Also there are links to the manufacturers website where you can download them.